Let’s start with the advantages of handmade soap. That bar of soap from the supermarket looks so clean and pure. And yet, most big-brand soaps contain harsh chemicals that can irritate the skin, alcohol that dries the skin, and sometimes petroleum products, which is just disturbing. Handmade soap is made from natural, gentle ingredients that don’t leave the skin itchy, dry or irritated. Have you noticed lately how many commercials are on TV about soap that won’t dry your skin? And how they add lotions and creme to soap to keep your skin moist. Doesn’t it sound like their own admission that soap dries your skin? They don’t tell you that in modern soap making glycerin that acts as moisturizer in soap is removed from soap and sold separately to be included in more expensive beauty products to increase profits. Natural handmade soap bars keep all the good stuff including glycerin and nonsaponified oils to moisturize your skin naturally. There are also no other harsh chemicals or chemical preservatives added to create colors, smell and longevity. You wouldn't find such things in natural soap. But you would find them in almost all soap bars commercially produced. A little education goes a very long way when it comes to choosing products for your skin. The formula for this comes from very early American history and has been a well-loved favourite within my family for generations,the year 1849 is how far back I am able to trace this particular recipe. Pine organic essential oil is a traditional aid for treating seborrhea, eczema, scabies and psoriasis. Our pine essential oil is steam distilled from pine needles and twigs and is creosote free. We add a touch of peppermint essential oil for fragrance and freshness. Also included is skin-nuturing and healing evening primrose oil, dried nettle and plantain to alleviate itchiness and to promote healing of skin. Probably one of our richest and most moisturising formulas, this creamy soap contains Organic Argan Oil, Shea Butter & Cocoa Butter as well as a blend of other skin-loving oils. This will give you a MAJOR moisture boost and the scent is just heavenly with Essential Oils of Rose Absolute and Rose Geranium. You will find the texture of this soap a bit softer and creamier than most others, so be sure to keep it dry between uses. Are you looking for a great all-around complexion soap that is friendly to any skin type and can be used daily...this is the one for you. Sweet Orange, Palmarosa and Geranium Essential Oils give a light floral scent to a rich moisturising goat milk soap and provide beautiful skin toning and clarifying without drying delicate facial skin. This natural antibacterial and antiseptic soap combines the essential oils of Tea tree, Grapefruit, Geranium and Lavender with Oatmeal. This blend of essential oils are very effective in the treatment of acne, spots & blemishes while keeping the skin moisturized and soft. This bar also contains honey to help heal the skin and oats to soothe any irritation and remove dead skin cells. This rich soap contains real Australian Red Reef Clay. It’s high iron content and essential minerals help to replenish and regenerate the epidermis of the skin to create soft and healthy glowing skin. This is great for detoxing dull, sluggish skin and clogged pores. We've also included a lucious blend of essential oils of Lavender, Neroli, Clove, Cedar, Patchouli and Orange that will help to keep your skin in top condition. We've designed this just for the doggies but it smells so great really anyone could use it. This helps keeps your best friend's coat conditioned, his skin moisturized and chases off biting, stinging critters. It's completely safe for both canine and feline use (and human) and non-toxic. The scent is fresh and clean with a blend of Lavender, Cedar & Orange essential oils. 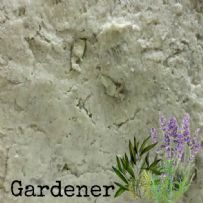 Contains finely ground pumice grit as well as essential oils of Rosemary, Lavender & Tea Tree. 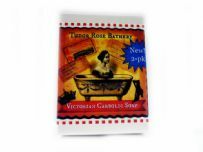 Ideal for gardeners, mechanics, smokers (or certain soapmakers who tend to stain their skin when making bath goodies.) Gently removes calluses and dry skin.We mix abrasive grit into a naturally anti-bacterial moisturising soap bar. It is an excellent way to clean dirty hands without the use of harsh cleansing agents. NOT for use on the face! Just like Grandma used to make, this is the perfect choice for those of you with skin that is completely unable to handle any scent at all. This is so ultra-gentle and made with Organic British goat milk. Very pure and creamy! This product contains 90% snail extract and bee venom isolate (Melittin). Powerful ingredients such as snail mucin and bee venom help to heal acne, fade acne scars, brighten skin tone, and maintain hydration throughout the day. The formula is also enriched with sweet almond oil, jojoba oil and essential oils of lavender and neroli for their skin soothing benefits. Gentle enough for daily use. After many request we have finally made a soap that is designed just for baby's delicate skin. Coconut milk & Evening Primrose oil add richness to the lather and leave the skin petal soft. There is a touch of cornstarch and calamine to treat any skin irritation. The scent is delicate and comes from a blend of essential oils of Lavender, Chamomile and Vanilla absolute. Made for baby but perfect for even the most sensitive skin. This beautiful formula is so thick and rich! It is designed to treat dry, damaged skin and to give your skin a moisture boost that will leave you silky smooth. New Zealand Active 25+ Manuka Honey, Organic Shea Butter, rich Cocoa Butter and pure Coconut Cream give this bar a milky, honey, coconut scent naturally. We use sterile medical-grade Manuka Honey that is normally used for wound dressing in Australia and New Zealand. Seductive, light and sensual...this will make you feel naked. The Scent: Tahitian tiare blossoms, white lily, freesia and white rose petals are softened by smooth amber, Lebanese cedar and a touch of sandalwood. This so yummy and luxurious....real Scottish Heather Honey is blended with creamy goat buttermilk and freshly squeezed lemon juice. The result is a very silky creamy lather lightly scented with lemon and sweet milk. Lemongrass & Rosemary Essential Oils give a citrus herbal freshness to a luxurious moisturising goat milk soap and provide beautiful skin toning. 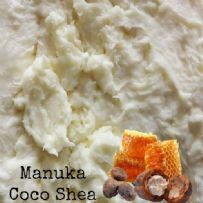 Great for stretchmarks, broken blood vessels and puffiness. 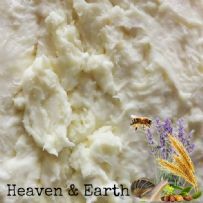 Just like Grandma used to use...and her Grandma, and her Grandma, etc.....This is made from an authentic Victorian formula with the exception that ours is strictly Vegan; the original was made with tallow because it was cheaper. That said, This is natural scented, anti-bacterial and mildly antiseptic soap and a very traditional type of soap that is recommended for acne and makes a great deodorant bar. Beware other brands which only have coal tar SCENT a-ha. This actually has phenol in it which is why it's so disinfecting. In many parts of the world Carbolic soap is one of the few everyday symbols of European colonial times. We have been told that surgeons still scrub with carbolic soap in remote hospitals in India.